The owners of this home moved to San Francisco in 2015 and bought their stunning apartment not long after. With its location, layout and views and they were off to a great start and wanted to look at a few ideas to break up the open plan living space and create chill out areas. Following some profiling and gaining an understanding of how they wanted it to look and feel, we put together a series of ideas to look at the main rooms as well as some separate ideas for art and planting. The brief was blissfully broad, so it felt right to go quite far with the ideas and encourage them to be challenged. As part of the creative response I provided some recommendations based on the numerous and these are now in progress. Mid century styling mixed with quirkiness and Asian features were popular. Creating your ideal living space isn’t something which happens overnight and the owners, who have a keen eye for original pieces of art and furniture, are enjoying sourcing things to fill important gaps. Their beautiful home is a work in progress design-wise and more visuals will be added. 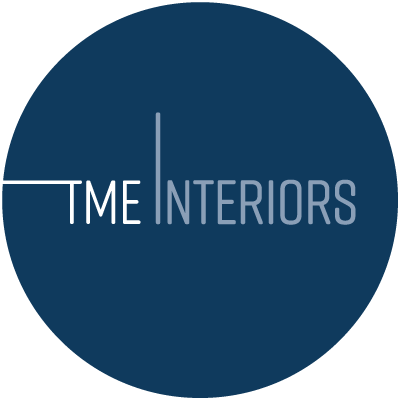 Simply awesome is the best way to describe my experience with Teresa at TME Interiors. She was able to take in all my likes and dislikes and come up with a series of mood boards that really capture my inner spirit. I still refer back to these boards when looking for new inspiration in our house.